Thank you for tuning in to episode 91 of the podcast! Today I have a great interview with Michaela Mendelsohn. Michaela had done an absolutely amazing amount of work to move the trans community forward in terms of the community, the exposure, the education and the awareness. 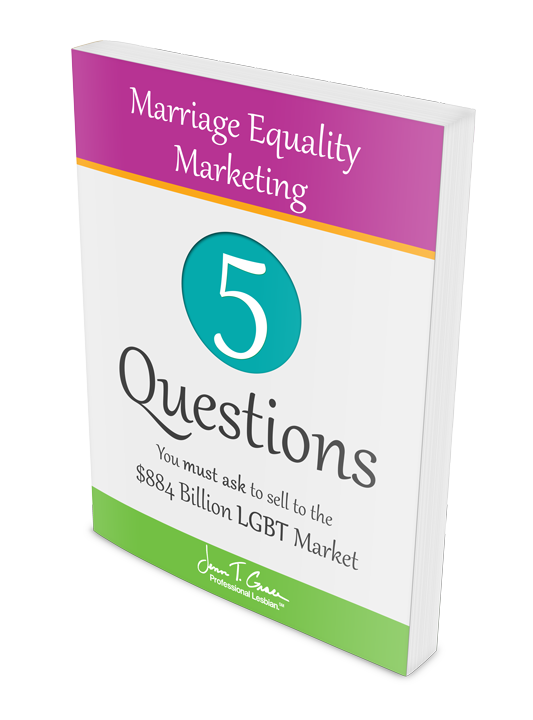 She is a transgender activist, a public speaker and a successful business person. For over 40 years she has run one of the largest franchises in the western region of the US, and she’s recently founded the California Transgender Workplace Program which is designed to promote transgender employment opportunities. Have a listen to hear about all of her endeavors and more! 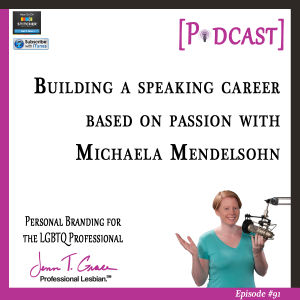 Jenn T Grace: You are listening to the Personal Branding for the LGBTQ Podcast, episode 91. Jenn T Grace: Well hello and welcome to episode 91 of the podcast. I am your host, Jenn Grace, and today, guess what? I have another interview. So we are on quite a streak. I’m actually trying to see how long I can make this streak last at this point, so we’re doing pretty good. So we’re on episode number 91 and I have another interview for you, and it is with Michaela Mendelsohn. I have to say this was such an incredible interview to have. Michaela is absolutely amazing in terms of the amount of work she is doing to move forward the trans community, and the exposure, and the education, and the awareness of the trans community. So she is a transgender activist, she’s a public speaker, she’s also been a business person for over forty years running one of the largest franchises in the western region of the US, and she’s recently founded the California Transgender Workplace Program which is designed to promote transgender employment opportunities. So she literally has been involved in so many incredible things, which it was so great to talk to her because she’s just so humble about the amount of things that she’s accomplished. And one of the cool things that we started to talk about toward the end of the interview is the fact that she consulted with the producer of Orange is the New Black on Laverne Cox’s character, and that was about five or six years ago she was saying. So she’s definitely had her involvement in a lot of different things around the trans community, and we can attribute some part of how Laverne’s character came out in the show to a lot of the consulting that Michaela was doing behind the scenes. So I think that’s kind of a fun little fact, and we do talk a little bit about Caitlin Jenner toward the end, and what she’s been doing in regards to advancement of the LGBT community, specifically the trans community, but these are two things that we just kind of briefly touch upon. We really kind of go deep into the mindset, and transitioning, and what that looks like, and transitioning even from being a business owner to being a speaker, and really it was just an amazing conversation. So if you are listening to this and you want to check out the links to Michaela’s website, or to any of the organizations that we talk about, you can head on over to my website and go to www.JennTGrace.com/91, that is for episode number 91. And yeah, you can find Michaela’s contact information, her website, we talk about the Trevor Project, we talk about a lot of things so there’s a lot of information to be had. So without further ado, please enjoy my interview with Michaela, and reach out to her and give her some social media love because this was just an incredible, incredible interview. Enjoy the show, thanks so much. Michaela M: I transitioned about nine years ago, and it was a difficult transition as it is for many people who are late transitioners who have families involved, and we can come back to that if you want to hear more about it. But first I’ll talk about the transition itself. You know I lived my whole life mentally feeling inside different, and when I realized that what I had to do finally after years of suppressing it and trying to make it go away, that wasn’t going to work anymore because I was getting very sick. I moved forward with my transition, like I said about nine years ago. The first few years of my transition were very confusing for me in that I’d gone from- and I think this is pretty common too, I’d gone from one box to another. So here before I was confined in a place and a body that wasn’t mine, but then we have a tendency I think in transitioning to then try and become that perfect billboard, in my case of a woman. So here I am, you look at women in the news, in a magazine or billboard and think, ‘Hey this is who I’m supposed to be,’ and you’re trying to- you worry so much about what you wear, how you talk, how you dress, your mannerisms, how you look, your makeup, your hair, and even worrying about every thought I had. You don’t go from being a macho male, I did a great job of that for over fifty years to cover up, and to changing all your thoughts and who you are in an instant. Jenn T Grace: It’s a process for sure. Michaela M: Yeah, so it’s a tough thing to do. So I created this new box for myself, and found after a few years of getting totally frustrated with that, it was even more confining than what I was in before. Until I finally was able to go inside and through some deep meditation, and working on myself, I was able to just accept all parts of myself and stop judging myself, labeling myself anymore. I really like the term that young people are using these days called gender nonconforming. I think the word transgender will even be obsolete within ten years from now because it’s just another box that I think many of us put ourselves into to try and be something, some other gender in a perfect way rather than just being who we are. Jenn T Grace: Yeah, absolutely. So in looking at the information that I have about you that Mona was so gracious to send over, how do you go from what you’re describing where it’s a rough transition, because you’re going from essentially one box that you’ve been in for fifty years, now kind of jumping into another box? I know that one of the things that she noted was that you took part in Miss Senior California. How do you go from kind of being a little bit uncomfortable in this new box to really putting yourself so out there in something like that? Michaela M: Well I went through extreme bullying as a child, and the chip on my shoulder that lasted, which isn’t too bad most of the time, is that whenever there’s a challenge presented to me, and if I’m feeling afraid of it, it tends to really motivate me where I say, ‘You’ve got to go through this.’ It makes me want to just walk through the fire. And so that was one of those things where I was doing some modeling, and one of the models had done Miss Senior California the year before and suggested it to me, and I thought, ‘Well this is a great challenge, something that no transgender person had done it before,’ and of course it was another mountain to climb, but also it was a way to open doors for other trans women, and that became really important to me. [Inaudible 00:07:25] and to normalize things, and to create a socio and economic playing field that’s more level that we can all step into, that we don’t have to feel- you know, we can break down barriers. Jenn T Grace: Yeah and so I know that you are now a public speaker, you’ve been a business person for over forty years. So how did you go- again because I think this is kind of a different type of transition in terms of a career transition. So how do you go from owning one of the largest franchises from what I’m reading, to transitioning into being an activist, and being a public speaker, and really putting yourself out there for a living at this point? So what did that feel like and what was that transition like? Michaela M: Well first of all I’ve been through so much in my life that I’ve always had a Buddhist philosophy that our challenges are what makes us stronger and wiser. And so I feel very fortunate that I’m at this place in my life that when I look at so many of the other trans women especially that are suffering, I just feel like I have to give back. I made a decision to devote the rest of my life to things that I would feel I could help as many people as possible. And so that’s kind of my motivation right now for waking up every morning, is what I can do to help, and it just fills me up. Jenn T Grace: So are you still running your franchises? Or is that kind of part of your past and you’re really just pursuing this? Michaela M: My day would make you dizzy, but I usually get in the morning about 6:00 to my little one coming in and waking me up, but that’s how early my day starts and it usually goes to about 12:30 at night. I’ll take about three hours out for family time from 5:30 to 8:30, and other than that I’ve just got so many things that I’m involved in, and running my business is still one of them, but I’m so fortunate to have great people that work for me that can do so much of that so that I can focus on these other things. Jenn T Grace: And speaking of other things that you’re focusing on, I see that you are launching the California Trans Work Project. Can you talk about that a little bit? Because I’m sure that that is something that can make a huge, huge impact. Michaela M: Okay well CTWP, California Trans Workplace Project is something I started- well the idea formulated in my mind about four years ago when one of my managers hired our first trans employee, and then I sat down with her and I heard her story where she had worked for another large franchisee of a different chain, and she was even though clearly identifying as a woman was forced to use the men’s restroom, and was actually molested. And then she kind of felt like, ‘I’ve got to keep this job, I can’t get another one, it’s so hard for trans women to get jobs even in California.’ And she was told, “Okay you can use the women’s restroom but make sure no one else is in there.” One day she had someone scout it out, no one was in there, she went in but afterwards another woman had gone in and went out and told her husband, “I think there’s someone in there that might be a man,” so he got upset and pushed the manager until the manager fired her. So that opened my eyes to the problem. I’m just lucky being a boss, of course it was emotionally a difficult thing for me to come out to 500 employees which I did all at once at a Christmas party after having disappeared for a year, but I don’t have to worry about being fired or getting a job. And so these- especially trans girls who may not fit in as easily as trans men that walk into a job, I’ve found the more I learn and I’ve hired 8% of my employees now are trans, by the way. Jenn T Grace: That’s awesome. Michaela M: And I started actually hiring trans people and found that they’re so appreciative to be on a level playing field, many of these girls had been out there looking for a job for a year, and they were very hirable people but people would come up with different excuses of why not they were going to hire them. So California Trans Workplace Project is taking that experience now that I’ve had for the last four years of hiring trans people, and what it takes to create an inclusive trans environment in the workplace, and going out and educating employers. Right now we’re working for instance with the California Restaurant Association, they have 90,000 restaurants here in California, 1.8 million employees. And we’ve put on seminars for large groups of employers, and some may bring their managers, and then once they’re into that and we help educate them in seminars about trans laws and creating that environment, and then we have- we just got a grant from the state of California to do this, and we’re putting together a training video, and we use that to train their managers and get them ready to start connecting them with job seekers.  Our mission is to make California truly a trans positive work environment and then spread that throughout the rest of the country. We’re using California as a model. 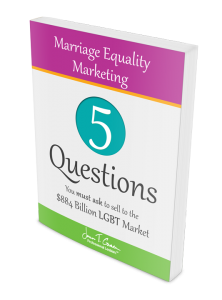 Jenn T Grace: Wow, and my question would be for someone listening to this- my audience are primarily business owners and there’s a good amount of LGBT people, but also really kind of staunch allies to the community. So for a business owner listening to this who may not have ever considered hiring a trans person; not because someone applied and they said, “No I’m not going to hire a trans person,” but just because they haven’t proactively thought about it. What do you think that first step could be, regardless of what part of the country they’re in, what do you think that first step could be for them to educate themselves or open up the awareness to hiring someone part of the trans community? Michaela M: Well of course one of the things we find most effective in any of these seminars we do, is the stories, it opens hearts and minds. But the other thing is let me talk for a minute about the business case because as employers right now we can’t afford to exclude any talent pool of employees. It’s the hardest to find- I know in the restaurant industry, which I’ve been in for thirty years and I was president of a national franchise association for nine, and very involved in that industry, and I know that the statistics show that it’s the hardest to find employees in the last fifteen years even with minimum wage going up. So we can’t afford to exclude a talent pool. And we also have a problem in our industry especially with turnover, and now here I am bringing in people, yes trans people that have- are really very appreciative to be on a level playing field, they’re wonderful with our customers, we get more customer compliments on them than any other employees, and less turnover because they’re loyal and appreciative of the work, they’re treated well. And no I’m not just doing it because it’s the right thing to do, I’m doing it because it’s great for my business. Jenn T Grace: Do you have any-? Michaela M: And I think the business owners hearing that, I hope that they’ll think about that positive business side of doing this as well as doing it from the heart. Jenn T Grace: Yeah, absolutely it’s both directions for sure. Do you have plans on raising that number for yourself personally from 8% and as far as the mission of this new organization are you trying to kind of set benchmarks and numbers to get people rallied up around to achieve those goals? Michaela M: Well I think 8% is already so much higher percentage than [Inaudible 00:14:13] in our population. But I think for me it’s more now- we may go up or down, but for me it’s more now about getting people hired and getting employers- open their hearts and minds and train their management to create that trans inclusive workplace, and to get people hired. My dream, my overall dream of doing everything I’m doing with speaking, and my work with the Trevor Project, and my work with the California Trans Workplace Project is to live to see the day where trans people are on a socioeconomic level playing field with the rest society and they can start moving past the fears they have that cause them to live day to day to survive, and the living a normal lifestyle. I mean I feel so fortunate to have a family, to have a wonderful partner, and to have a child, and three grown kids. I have my two families now have come together after years of difficulty and love each other, and I’m so, so fortunate to have that, and I think that’s the life we should all have. Jenn T Grace: I absolutely agree. So when you’re out speaking and kind of spreading this message of inclusion is really what we’re talking about, what types of organizations are asking you to come speak? What type of topics are you talking on? Are they varied? What is that part of your new day-to-day look like? 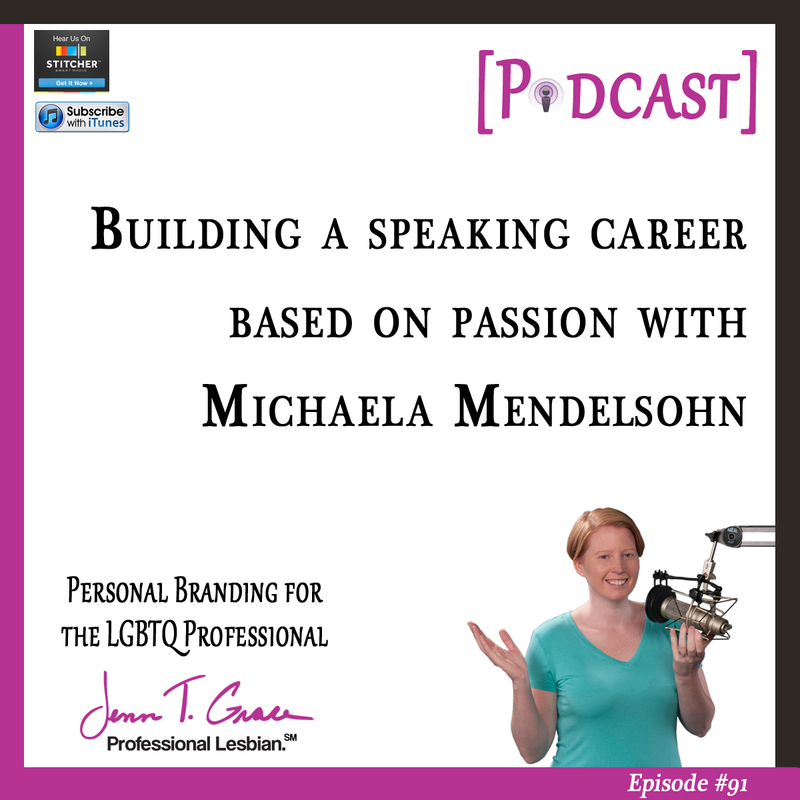 Michaela M: Well I tailor my speaking to the group. I mean, okay so I might be- like this last weekend I spoke at a Jewish congregation synagogue and I was talking about my journey not only as a trans person, but as a spiritual person, and then creating that as a metaphor for everyone in the audience to look into their own journeys because as I point out we’re all in transition in our lives, and we all have things that we’re afraid of, or embarrassed of, or a fear of failure that we can pull out of ourselves and become happier in our lives. My experience is just a metaphor. But if I’m speaking to a group of educators, I might be speaking to 100 school principals, and administrators from a large school district, I’m going to talk about what it was like for me growing up so they can understand the experience, to humanize it, and relate it to the kids and the parents that they’re dealing with at the school and the situations they have. And it’s wonderful these days that kids that are supported by their parents can actually choose their puberty because puberty is when most of these kids that commit suicide, or attempt it because they’re going through a period of time that’s totally adverse to who they are. They’re becoming something they hate. And now parents that are supportive- and they’re my real champions, these supportive parents, that help their children, they’ll bring them to clinics, they’ll help block the puberty that they were going to go through, and then when they’re ready give them the hormones to go through the one that they were meant to. And I’ve been with these kids and they are just amazingly happy to have that opportunity to be who they are. Jenn T Grace: Yeah, especially when they’re allowed to go through it when they should be going through it, versus even your transition of having to wait fifty years before that was something that was possible for you. Michaela M: Yeah the late transitioners that we hear so much about now, the Caitlin Jenner’s and all, are going to get fewer, are going to get fewer as time goes by because we’re more open to it now. I had now idea- when I was growing up the word transgender wasn’t even discussed and there was no Internet or talk shows, I had no idea. I was just very confused about what I was feeling. Jenn T Grace: I find that I know a lot of people within the trans community, and a lot of older people, and that’s so exactly what I hear all the time where it’s just there was no terminology around this. There were no role models, there was no one to look to, to see that, ‘Oh yeah that’s what I’m feeling.’ So I can totally understand what you’re saying. And yeah now kids, some of them anyway, have the benefit of not having to kind of carry that burden with them for so many years of just living an inauthentic life. Michaela M: Yeah, we still need to get past a lot of ignorance. I don’t want to get into politics but just to get help frame it, the bathroom things that are going on and the twelve states that are suing the US government over this. And when you go to these states, and a lot of them are in the south, people have very little knowledge about what transgender means. In fact many of them believe that it’s all a rouse, that it’s manufactured, it’s a devious state of mind, or people are talked into it, or people are using it to become predators. And all of that is just so far from the truth, and if they really experience the stories- that’s why I want to go out and speak more in the south because when you’re in front of a group of people, and you tell your story, they get to know who you are, it’s hard for them to deny the reality and the experience, and it opens their mind. But yeah, there’s tremendous ignorance. In some of the churches down there that are considering gay and lesbian affirming are still not on board with trans. They say God makes no mistakes and trans people must just be [Inaudible 00:19:09] the devil. Jenn T Grace: I can’t even wrap my head around the logic that people come up with. So when we’re talking about the bathroom bills, and all of just kind of the chaos that’s ensuing at least in the twelve states, can you I guess- especially from your vantage point, for somebody listening to this who may not be fully clued in as to what that’s all about, could you actually spend just a couple of minutes explaining it? Because I find that a lot of people, they just have a lot of misinformation. They just see whatever picture was on Facebook or on Instagram, or whatever it is and they don’t actually know the facts of what’s actually happening. Michaela M: Well when someone is transgender they’re often tempted to live in the gender who they feel they are, so they’ll present- let’s say it’s someone who’s born biologically a male and they’re now dressing and presenting as a female because that’s who they feel they are. If they walk into a restroom- a male restroom like that, they’re in danger and thousands of them have been sexually molested like that in doing so. In a female restroom they feel safe and comfortable as long as the women there are accepting. But they’re certainly in any case feel better and safer than they were in the male restrooms. The people that are against it are using scare tactics saying it’s invading their privacy, and these people could be doing this- it’s opening the door for sexual molesters, and child molesters, and this is all so far from the truth. Like I said there’s been thousands of cases of trans people being molested, but there’s never been a case where a trans person has gone into a bathroom and it’s been documented that they’ve molested anybody. And because it’s the furthest thing from their mind. A simple way to say it is they just want to pee, but they also want to be accepted and just pee. It’s like statistics go off and get used against the LGBT community like when Prop 8- as a metaphor for this, when Prop 8- you’re familiar with that, right? Jenn T Grace: Oh yeah. Jenn T Grace: Yes, absolutely. Michaela M: So during the campaign they had all these commercials showing things like we’re getting teachers, and PE teachers, and coaches, and Boy Scout leaders, and people that are going to molest our kids because they’re gay. Right? Because they’re all- gay people are all predators. When I speak, I talk about statistics. The FBI statistics, and they’re not a particularly gay affirming organization, are that 97% of sexual predators, sexual molesters are heterosexual men. So the other 3%-4% are women and all others. And we preclude heterosexual men from doing anything that could be in contact with children? So it’s all such a misnomer, it’s all scare tactics, but it’s based on fear, it’s based on ignorance. Jenn T Grace: What do you think the outcome of these pending lawsuits against the government are going to be? Where do you think if we were to flash forward a year from now, or two years from now, what is that going to look like? Michaela M: Well it depends on who gets elected as president, and then who gets [Inaudible 00:21:59]. Jenn T Grace: No it’s fine. Michaela M: Hillary’s speech last night, and I actually was a Bernie supporter but I liked everything that Hillary stands for and I was thrilled by her speech, and I’m hopeful that Hillary becomes president, and that the right people stay on the Supreme Court, and if that’s the case I feel that it’s like any other ignorant- you know we have a Constitution- we have a Declaration of Independence and we have a constitution, and the reason for it is so that the majority can make decisions who segregate and hurt people that are in the minority just because they don’t understand them, and they don’t like them because they’re different. And I think that we have a government now that’s not letting that happen, and if things move the way I hope they will, that will continue. We’ve made more progress in the Obama administration for transgender people than we have in the last forty years combined. Jenn T Grace: It’s amazing, isn’t it? Do you find that it’s startling sometimes to think that we’re in 2016 right now and we’re having the conversations that we’re having, not even exclusive to LGBT, but just even race conversations? Just to see almost how backward we feel like we’re going sometimes? Michaela M: I think for so many of us it’s so disturbing to turn on the TV these days, and to see the Donald every time you turn it on, and the kinds of things that he’s saying. But the amount of people that have rallied behind those messages, the messages of hate and exclusion rather than inclusion. And maybe it’s just I try to step back and say a lot of this is just pushback the ones that really- behind those racial comments, that are just pushback of people that feel like their way of life is being threatened because things have moved so quickly in the last four years in terms of gay marriage rights and other rights for LGBT people that are antithesis of how they were raised and the lifestyle they feel that’s under attack. But I think the young generation is really the hope. I mean the younger generations are not buying into it. It’s like in the schools when the principals will tell me, “Well we have kids that come in that are supported by the parents, and they come in as first and second graders changing their genders and much, much happier.” And the other kids, it takes them one day where they’ll just question. They’ll just say, “Well I thought he was a girl. Or I thought she was a boy.” And teachers explain it, and after a day of playing with their friend and their new gender, everything is fine. But then a week later the parents rally and there’s a huge thing going on because parents are upset. Jenn T Grace: It’s ridiculous. Michaela M: It’s the younger generation I think gets it. Jenn T Grace: You know what’s going to be interesting, is your vantage point from the perspective that you have grown children now, and now you also have an almost three year old. So to see kind of the differences and the social acceptance and the social norms of just what’s happening in your son’s lifetime at this point versus your other children’s. I feel like that’s going to be so interesting to kind of see, to see how matter of fact this young generation- the future leaders are going to be around all of these things. Michaela M: Well yes it is. My wife and I were always very open minded and supportive of the uniqueness and we- you could say we leaned as liberal. And we raised our kids to be that way, and my older kids are 24, 30 and 32, and they’re doing things with their lives that are very socially oriented and I’m very proud of them. I feel a lot of it had to do with their upbringing. And so there isn’t going to be a huge difference from what I saw and am seeing now, but I will say that while I was transitioning, my kids because of society at large, they felt very embarrassed and worried that their life was going to turn upside down. So they hid me, you know I had to stay away from everybody that knew anything in their lives, and hide when their friends came over and such. And I think that was a sign of those times. That was a sign that they were living in a world that was different than what we were teaching them. Jenn T Grace: Versus how you’re now youngest son, how that would have played out if we fast forwarded fifteen or twenty years. Michaela M: Yeah I mean now it’s like he goes to preschool, and after we’re done I’ll take him over there, and there I’m his mommy, and it’s totally okay that he has two mommies to all the kids, to all the teachers, to all the parents. I went through a ceremony at my congregation- we’re Jewish, and I went through a religious ceremony this last weekend where I decided I wanted to be renamed in the Jewish religion because at eight days old a Jewish boy gets their name at a birth ceremony and I wanted to get my renamed in the Jewish religion even though seven years ago I legally had my name just changed. And then I got to speak to the congregation to kind of come out to them because I’ve only been with this congregation a year, and it was such a wonderful experience. The warmth, and the love, and people in the congregation who’d been there for 22 years said it was the greatest night of that whole synagogue. Jenn T Grace: That’s amazing. Michaela M: And we had a trans chorus sing some songs, we did a whole pride Shabbat around it- a Shabbat, and it was a magical experience, and I don’t know how possible that would have been thirty years ago. A lot of people are changing thank goodness, although this might be a little different than most. This wasn’t in West Hollywood, this was in suburbia so it was so refreshing. And there were people in the congregation in their eighties that were hugging me and crying. Michaela M: I’m getting emotional talking about it. I cried the whole night. Jenn T Grace: I can see why. You know what, I think the thing is, is that we look at the media and we’re horrified by what we see because the media is controlled by just a couple of people, and the reality in so many ways is what you’re talking about, where there’s such inclusion even in suburbia in L.A. County. Like to have that type of experience, and to be so embraced, I feel like the media would twist that around and make it look like some hate-filled act, when really all you experienced was love which is so amazing. Michaela M: Well I think the media here in southern California is mostly open-minded and maybe somewhat liberal minded about these things. I mean they’re very supportive of this direction. I don’t know how if that had taken place someplace else in the country, I think it’d be a lot more of what you’re saying, yeah. Jenn T Grace: And how do you feel about not media’s representation from a news standpoint or anything like that, but from a what we’re seeing on television lately, or what we’re seeing in the movies as it relates to the trans community? How are you feeling about what you’re seeing and its impact on trans visibility kind of more broadly? Michaela M: Well a close friend of mine just nine months ago started the first trans talent agency in the country, and the roles that she’s getting for people now, there’s so much more interest in it now and to get it right. I actually did the consulting for Laverne Cox’s character in Orange is the New Black and at that time I met with the creator, Jenji Kohan and her team of writers, and I said, “Look I-” and this was like six years ago and I said, “I don’t need to be paid for this, and I don’t need any credit, but I ask two things. That you get it right because so many roles have been stereotyped and make trans people look crazy or sick or sexually perverted. And the second thing was to hire a trans actress to play the role which doesn’t get done hardly at all.” We use people that are not trans to play trans roles in Hollywood. And to her credit, she didn’t have to do either because I don’t have any power over that production, but she did both and I think that character being so successful and getting so much attention- I mean Laverne Cox was on the cover of Time magazine. Jenn T Grace: Which is amazing. Michaela M: The trans tipping point. And I think that started, opened the door, and we’re seeing more and more roles and interest in roles in both television and in movies and film that are real to life and not stereotype. You’ll still occasionally get characters that are kind of caricatures but I think it’s getting better. I think it’s getting better. And the film industry is somewhat liberal minded so I don’t think the judgment was there, but they do reflect a lot of what the public wants of course, it’s how they make money, and it’s things like Hollywood often leads the way to doors opening and minds opening. So I hope that’s a good thing. Jenn T Grace: Yeah absolutely. And how does it feel for you to have been able to consult on such a blockbuster type of series that I feel like when- I don’t know that anyone knew how big the show was going to be. So how does it feel to know that you had such an integral piece to making sure that trans representation really truly came through as it was intended? Michaela M: Well I have no idea. I thought the show would be successful because Jenji and her track record, and she seemed to have a great group of writers. But just I’m really pleased to see how well it went over and how that role made a difference. I’m not taking any credit for it, I think it’s Jenji who made the right decisions and to do it right. And she made the role a little bit bigger than it was in the book, which to her credit I think she wanted to make a statement. Jenn T Grace: And I feel like Laverne Cox is such an incredible voice for the community, and I think just knowing how many people love that show, just the amount of impact that she herself is making. It’s incredible to watch in so many ways just to see the power that one person has, even yourself, the amount of influence and power that you yourself have because this is something you’ve dedicated yourself to, to really just bringing about awareness and change across the board. It’s just- it’s powerful to witness. Michaela M: Well first of all I just feel incredibly fortunate that I can be in this position and do these things, but it’s Laverne- I think was the right person at the right time, and I know she’s got other big roles coming up. She’s certainly taken advantage of that first well known role to become a spokesperson, and one that we greatly admire. Yes, she’s made a real impact. Jenn T Grace: Yeah I think it’s because she’s using her voice for good. I feel like there’s a lot of people who are kind of thrust into the limelight and they may not be the best representation for a particular community, and then they do more harm than good, and in this case I feel like Laverne has really just kind of amplified such a strong message which is so exciting. And like you said, being on the cover of Time is just such an amazing kind of nod. Michaela M: You know when a magazine takes that chance and does that, they’re part of the tipping point. They help move it in that direction. But yeah, she’s been great. I’m good friends with Candis Cayne, she’s had some roles, and I’m acquaintances- I see her often at events and we sit and talk with Caitlin, and I know there’s a lot of controversy in the community about whether she’s doing good or bad. But she does want to help, she does enjoy being in a role where she can make a positive impact. Jenn T Grace: I’ve heard a lot of controversy in regards to just things that she’s said and done, and my response always to that is that everybody is on their own journey, and it’s not for me to say what her journey should be, nor is it my place to say what yours should be. So I feel like we all have to just remember that for what good there is, the fact that she is a public figure, that’s great, but at the same time I’m sure transitioning in some kind of quieter manner may likely have been her preference, and it’s not fair that we’re just kind of holding the spotlight on her and judging her for her every move. So I feel like in a lot of ways she’s just kind of been hit with a lot of unfairness from a lot of people, including people within the LGBT community. Michaela M: Yeah well I agree with a lot of that. I think she wants to use that position though of being in the limelight. I think she knew- she tried, as she told me she was initially trying to transition in her thirties and she was so afraid because she was so in the limelight of what was going to happen. But I think at this point in her life, she hit her sixties she realized it’s now or never, and that she knew she was going to be in the limelight. And so I think she embraced that as best she could to try and do- use it to do some good, and I think it is a purpose for her, and it’s a calling she feels to do some good with this. Of course she makes a lot of money with the show, and people are going to look at that and say she’s doing it all for the money, but I can’t deny that part of it. But I also know that I believe from my talks with her that she’s doing a lot of this because she wants to do some good. Jenn T Grace: And you know ultimately her money and influence is what has gotten her on TV’s in very rural parts of America to expose them to what the trans community looks like, and she might be the first experience somebody ever has, and that is not a bad thing because there is an evolution, there is a journey for getting people to understand, and awareness and education around the trans community and the LGBT community as well. And I feel like for that alone, just being able to get people to listen and pay attention to her, even if she does screw up here and there, she’s still helping make an impact on some level. Michaela M: More than anybody in this country, she’s responsible for bringing the T out of the closet and for better or for worse because we talked about the pushback, of people pushing back against this. [Inaudible 00:35:09]. She has increased exposure tremendously. Jenn T Grace: And how are you feeling about the support from the LG and B of our community as it relates to the trans movement right now? Because I feel like there’s a lot of variables in terms of what parts of the country you’re in, what types of end goals people have, but I feel like there’s still such a disconnect in so many ways between our community broadly. Michaela M: Well there needs to be- and now there are more every month, organizations that are strictly focused on trans health for children, trans development advocacy and policy like the National Center for Trans Equality, which is amazing what they’ve accomplished. And on the other hand we still have a lot of- every time you see a major center in a city and it’s called the LGBT Center, and the T has for many years felt like the weak cousin of LGB. And to some degree that’s changing. I know a board member of the Trevor Project, a lot of focus is going on trans because of the realization of the needs of the trans community being so great right now. These suicides- are you familiar with the Trevor Project? Jenn T Grace: Yes, but if you could give kind of a super quick overview for the listeners in case they don’t, that’d be great. Michaela M: Oh yeah, so the Trevor Project, they are the largest organization in the United States working to eliminate suicides in the LGBT youth, ages 13 to 24. And suicide is the second leading cause of death in teenagers to begin with, in gay lesbian transgender kids it’s much higher, and in those that are not supported by their families they’re eight times more likely to commit suicide. So it’s an epidemic, it’s at its highest level ever because as all this pushback goes on and kids are thrown out of their family and their places of faith, they’re feeling hopeless. And so the Trevor Project works to connect these people with their lifeline. I volunteer myself on the Trevor Crisis Line, and every day we’re taking hundreds of calls of kids that are in crisis. So the point I was going to make was that about half of our- what we call our high risk crisis calls are coming from trans youth, and that’s a much, much higher proportion than kids now that are trans compared to gay and lesbian. And so they’re realizing at the Trevor Project the great need for increasing counseling, increasing their outreach and services to the trans community. And I think in every LGBT organization out there, this is what’s happening. They’re realizing the needs of trans, and so I don’t think we’re so much the weak cousin anymore as we used to be. Like I said there are the needs for the trans only organizations, but I think for a long time there was like, ‘We need to separate the T, we need to not be LGBT anymore.’ I don’t agree with that. I think it’s working just fine. Jenn T Grace: Which is amazing. So as we kind of conclude here, what is next for you? What are your plans? Like what does your future look like for even five years from now- or a year from now, or five years from now? Michaela M: Well I don’t know if I can keep up this intensity, but certainly my California Trans Workplace Project is really first getting off the ground and I hope that’s going to continue to develop in a way that I could have people- staff that- I’m used to building organizations and I want to build this as an organization that doesn’t require me to be 80% of its energy, and then keep that moving. Like speaking of taking it to a different level, I’ve just launched my website, www.MichaelaSpeaks.com to elevate my speaking to move into areas of the country and internationally that I hadn’t been speaking before. To not always be speaking- less to the choir so to speak and more to groups that need to hear the message. And so that’s another thing, I think I’ll be traveling more and my partner and I have to figure out how that’s going to work because my family life is so important to me. But you know, I continue to run my business and I think that will still be there because I need a source of income, especially to do all these things. And I live now in Los Angeles, and I don’t know if I’ll still be here in five years from now, I’d like to experience what it’d be like to live in other areas of the country and the world, but those are things that are on my plate. Jenn T Grace: That’s amazing. This has been such a great interview, I really appreciate your time. I know that you just mentioned that people can go to www.MichaelaSpeaks.com. Are there any other ways in which you would prefer people to connect with you if they want to know more about what you’re up to? Michaela M: You know they can check out my Facebook. For right now, I just have one Facebook and it’s my personal and my public profile, but we will be upgrading that into another one that works off of the website. So Michaela Mendelsohn, that’s my full name, and they can find me on Facebook. Eventually there will be a separate Facebook just for my community work. Jenn T Grace: Excellent, and in the meantime they can go to www.MichaelaSpeaks.com and check out what you’re up to, and potentially hire you to come in and speak. That would be amazing, right? Michaela M: That’s great, thank you for putting that out there. Jenn T Grace: Yeah, my pleasure. Thank you again, this has really been such a great and educational conversation. I so appreciate all the work that you’re doing. Thank you for listening to today’s podcast. If there are any links from today’s show that you are interested in finding, save yourself a step and head on over to www.JennTGrace.com/thepodcast. And there you will find a backlog of all of the past podcast episodes including transcripts, links to articles, reviews, books, you name it. It is all there on the website for your convenience. Additionally if you would like to get in touch with me for any reason, you can head on over to the website and click the contact form, send me a message, you can find me on Facebook, LinkedIn and Twitter all at JennTGrace. And as always I really appreciate you as a listener, and I highly encourage you to reach out to me whenever you can. Have a great one, and I will talk to you in the next episode.